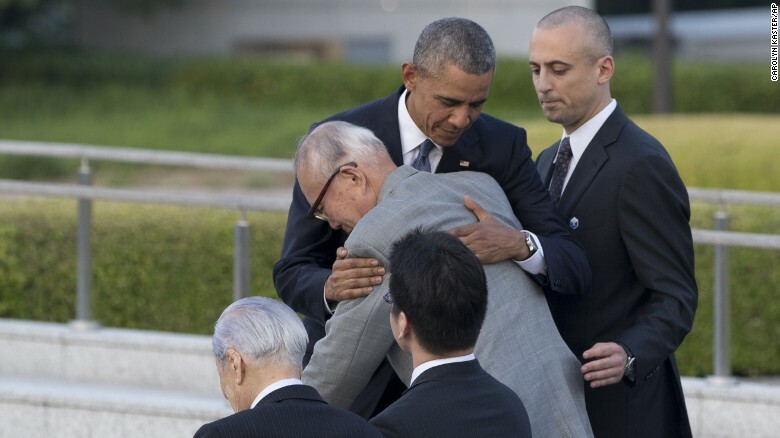 President Obama hugging a survivor of the nuclear bombing of Hiroshima. The dropping of the atomic bomb on Hiroshima and Nagasaki helped hasten the end of the Second World War in the Pacific Theater. It also resulted in the death of many people. It is this act that is, or at least should be, the legacy of President Harry Truman. Harry Truman did many good things. He desegregated the military and banned discrimination in civil service. His administration established the alliances, treaties, and foreign policies that helped combat communism, stave off another world war, and eventually, with the help of subsequent administrations, win the Cold War. He formally recognized the state of Israel and initiated the Berlin airlift, sending food and supplies to Berliners cut off by a Soviet blockade. His famous “The Buck Stops Here” attitude is certainly one to emulate and celebrate, particularly when compared with politicians of today. Harry Truman also did many things that were not so good. His 1952 seizure of the steel industry was such a brazen breach of presidential powers that the Supreme Court overturned it and declared it unconstitutional, despite the fact that by this time the bench was stacked with FDR appointees sympathetic to a Democratic agenda. He invaded Korea without a congressional declaration of war, or even congressional approval of any kind, and proceeded to leave a stalemate that, all these years later, has yet to be resolved. He and his administration sided with the communist traitor Alger Hiss, the State Department official who spied on the U.S. for the Soviet Union, instead of with Whittaker Chambers, the man who made Hiss and his spy ring known to the American public. Above all, however, he authorized the use of atomic weapons on the Japanese cities of Hiroshima and Nagasaki. There are many reasonable arguments put forth to defend this action. Because otherwise the Americans would have to stage a horrific amphibious assault, the dropping of atomic weapons may have saved lives, at least American ones. It was the surest way to end the deadliest war in world history. Japanese leaders would not have surrendered without it. More than 200,000 Japanese were killed, the majority of those civilians. Twenty Allied prisoners of war were also killed. The effects of burns, radiation, and the lack of supplies continued to kill Japanese people months after the bombs were dropped. The destruction, economically, spiritually, and in the number of lives directly affected by it, is incalculable. 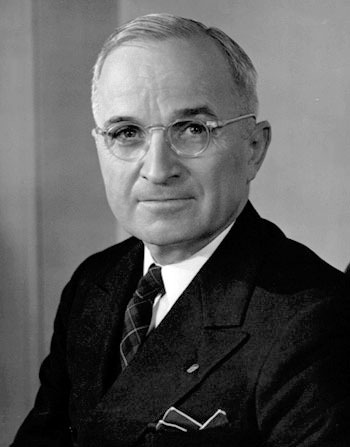 It is common nowadays for people to defend Truman’s decision to drop the atomic bomb. Many World War II veterans do, since, in their minds, they owe their very lives to that decision. In particular, many of the most frequent and vociferous defenses of Truman’s decision today come from the Right. No less an authority than Dwight Eisenhower, Supreme Commander of the Allied Forces in Europe and future Republican president, told Secretary of War Henry Stimson that the use of atomic weapons in defeating Japan was unnecessary, calling it a “hellish contrivance”, and even telling Truman to his face not to use it. Even taking into account the difficulty of the decision, the undeniably awful alternatives, and whatever good may have come out of it, it remains to be said: Hiroshima and Nagasaki are a horrible stain on America. No debt can repay the killing of so many lives. As complex as the decision was, the use of atomic weapons against Japan was an immoral act the consequences of which we will live with for years to come. And, as President Truman so often said, the buck stops with him. Just found your blog thanks to a “track back” from Joe Posnanski’s “Baseball 100” series. I’ll have to spend more time here (my “Things To Read” list is so long that if it were a list of “Things to do Before You Die”, I’d be immortal…. ); this looks very interesting and well-written. Anyway, I’d say that one of the reasons we rank presidents is that it illustrates what we look for in a president. It’s not so much an inquiry into the presidents as it is an inquiry into us…..
Great point! That’s part of why we study history itself. It’s a study of — as you say, an inquiry into — us.